Was this something you always thought you’d do? I started writing in high school just to help get thoughts out of my head. Songs, poems, short stories. Whatever came to mind. I would show my mother and we would have long conversations about it because these writings were basically my diary. When my mother died of cancer, I stopped writing for a long time. My best friend started encouraging me to pick up my pen again two years ago. The first story I started writing was a wrestling fan fiction. I’m a huge wrestling fan and actually referee wrestling matches and help run an independent promotion in North Carolina. I used to picture myself in my favorite TV shows or movies so fan fiction seemed natural to get into. Then I started having dreams where I was this woman who finds out she’s a clone. I went to bed for a week straight, having the same dream. It became my first published book, Mirror Image. I went to bed every night hoping I would have the same dream. The thought occurred to me if I was excited about it, maybe others would be too. Primarily sci-fi romance. I have one trilogy, the Mirror series. I also have a series of short stories based on the origins of the characters in the Mirror series. In November I released the first book in a five-book series. I have written a few romance stories and currently working on three more. Two years, but this is my first year published. 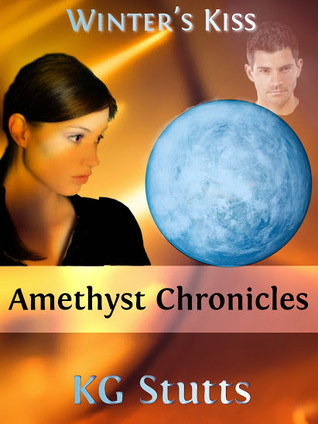 Amethyst Chronicles is a quartet of genetically enhanced humans that is an elite team acting as a SWAT team so to speak. Winter’s Kiss is the first one in the series, launched in November. Amethyst must work with an Air Force team to stop a scientist who is using a weather machine to freeze Earth. Set in the 1930s, Maggie Piper is the daughter of a notorious mobster in Change the Stars. Her father has arranged a marriage to benefit his company, but she is kidnapped by Dean Lawrence before then. Mirror Image is the first in a trilogy. Maddie Rhodes is a seemingly ordinary woman until she finds out she’s a clone. Now she must work with her counterpart, Mack, in order to help save the Earth, each other, and countless worlds. The second in the series, Mirror Shattered, was released in August. The team must travel back to 1965 in order to stop an alien race from taking over Earth. Currently writing the second book in the Amethyst series, out in April. I’m also am working on a wrestling romance story entitled Between the Ropes and two other romances. I work for a business call center for a wireless company. I love crafts and video games. Wrestling, hockey, and football are my favorite sports. Girl Who Reads is an Amazon advertising affiliate; a small fee is earned when purchases are made through the above links. The views, beliefs, and opinions expressed by guests are their own and do not necessarily reflect those of Girl Who Reads.